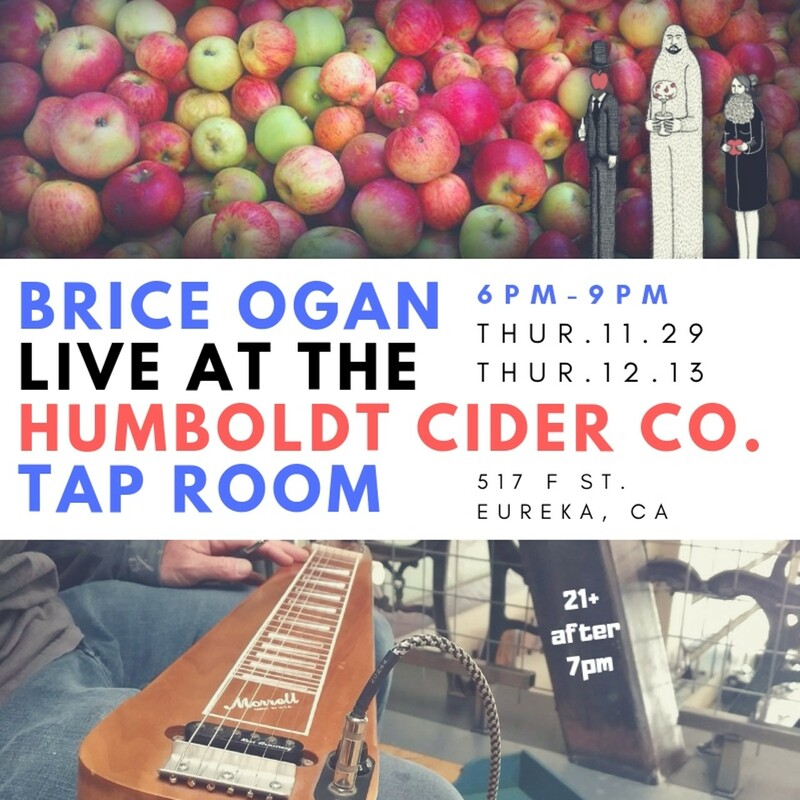 Live Music at the Humboldt Cider Co. 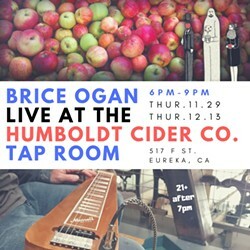 Enjoy live music from Brice Ogan at the Humboldt Cider Co. location on F Street! Sip on a delicious locally crafted hard cider in a relaxed environment. Mellow tunes and soothing vocals are the perfect addition to a weeknight outing at the Tap Room. Beer, wine, and Kombucha on tap too! Food options are available from Frankie's NY Bagels, smoked salmon from Fish Brothers, and desserts from Raised Gluten Free. 21+ after 7pm.